Darren has been working in financial services for more than 26 years; over half of those years have been spent as an Independent Financial Adviser and Planner. He set up Red Circle Financial Planning in the summer of 2012 to provide a full financial planning and investment management service to clients. 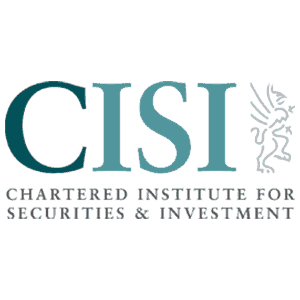 As a Chartered Financial Planner (CII), a Fellow of the Personal Finance Society (PFS), and a Member of the Chartered Institute of Securities and Investment (MCSI), Darren is amongst the UK’s top financial professionals. He is featured regularly in the financial press and has won many awards over the years, including the Judges Award at the Unbiased Media Awards 2017 and the CII Building Public Trust Award 2017. In September 2016, Darren launched a petition to ban pension cold calling. The campaign gathered momentum on social media, amongst other financial professionals and the public alike, and the government launched a consultation as a result. The ban became part of law in January 2019. With four children, Darren’s time outside work mainly revolves around his family and being a taxi to their various activities. He believes in practicing what he preaches and putting family first; one of the benefits of running your own business. He’s also a keen sports fan, with a particular love for cricket, Formula 1 and American football. He wishes he still had the time to play golf; he still has the clubs, in the vain hope that they will get used regularly one day. As a Financial Planner, Darren assumes three essential roles. When combined, they enable him to take a bespoke approach to life-centred financial planning and advice. Life Planner.Darren will establish where you are in your life right now, how you got there and then the features of your ideal future story. Financial Planner.Darren will assess your resources, both those available now and those available in the future, then establish what you will need to achieve your ideal future story. Financial Adviser.Darren will recommend and help you to implement the products, investments and services that will support and deliver your ideal future story. There isn’t one moment. Every time I help a client see they can achieve what they want to, and we can organise their money to support that, it is special. Firstly, giving people clarity over their future. Secondly, giving clients peace of mind over their finances. Finally, meeting so many different and interesting clients and learning about them and their lives. Knowledgeable, easy-going (yes, I’m cheating), sociable. Watching my boys play football and rugby, going to the cinema or for a meal with the family. Or clothes shopping…with four growing children, we always seem to need new clothes and shoes! Deepest Purple by Deep Purple. I’m an old rocker at heart. Spending hours over sporting stats. Probably explains why I like the sports I do. People who hold grudges over nothing. Life is too short, move on. My oldest son was born on Christmas day, so I suppose you could say that was a pretty special, if expensive, Christmas present. Murray Walker the motorsport commentator, Jonathon Agnew the cricket player and the author Terry Pratchett. All regulated financial advisers must be authorised by the Financial Conduct Authority (FCA) and therefore appear on their register. You can find Darren’s entry here. 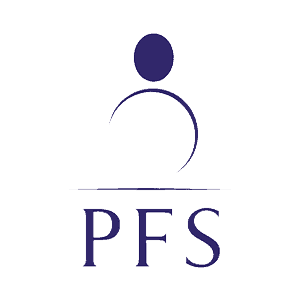 Furthermore, all advisers must have an up-to-date Statement of Professional Standing (SPS). This shows they are suitably qualified and have carried out the required amount of Continuous Professional Development (CPD). You can click here to view Darren’s. Melanie formally joined the team from September 2015; seeing as she is married to Darren, she has had little choice but to be involved from day one! Following her degree, Melanie qualified as a Chartered Management Accountant and worked for a large multi-national manufacturing business, overseeing the financial operation in the UK and at factories abroad. With four children, she was a full-time mother for eight years, but still found time to be Chair of Governors for a local school and a PTA member. As all the children are now in full-time education, Melanie (allegedly) has more time and oversees the operations side of the business. This includes internal finances (surprising that for an accountant! ), client communication and ensuring the systems and processes of the business are efficient. One of her main tasks will be to keep Darren working hard, which she has had plenty of practice at after 15 years together. Valerie started with Red Circle in October 2014, although she has known Darren for some years seeing as they both worked together at HSBC. Valerie originally part qualified to be an adviser, but realised she was better suited to a back-office role. She became Darren’s PA in 2006. Following redundancy from the bank, she was silly enough to accept an offer to come back to work with Darren as his administrator. Valerie handles all the paperwork for the business, deals with providers for details on financial plans and processes all applications, amongst a myriad of other tasks. Her main job though is completing all documentation in legible handwriting. She also has the priceless skill of being able to interpret Darren’s scrawl. Outside the office, Valerie lives with her husband Mick and is mother to two grown-up children and proud grandmother to Louis. Nathan is our outsourced paraplanner and technical specialist. We work with his business, Plan Works; their job is to put Darren’s magic onto paper, creating financial plans that can be easily understood. Nathan’s first role in financial services was at Fidelity; he then moved to UBS, and eventually started Plan Works. His specialism is analysing what a client has, what a client wants and then making a robust plan that will help them get there. Nathan works remotely and is based in Surrey. He has small Shih-Doodle called Cocoa-Belle, who keeps him sane. If you’d like to find out more or book in a free, no obligation meeting, complete the form below and a member of the team will be in touch. 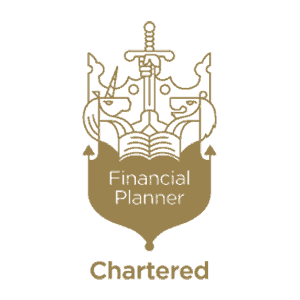 Red Circle Financial Planning Limited is authorised and regulated by the Financial Conduct Authority. You can find Red Circle Financial Planning Limited on the FCA register by clicking here. Registered in England & Wales. Company number: 8716953. Registered Office: South Normanton Business Centre | 40 High Street | South Normanton | Derbyshire | DE55 2BP.